Tips for Starting FIFA 17 FUT - gather soccer player from a league and place him in the team. Gradually you build together a team whose players kick in the same club. Therefore, respect collecting or purchasing them. If the players blend with your existing kickers then you recognize the color of the connections between the players. Green stands for optimal, red for bad. Once match an attribute between adjacent players, the line turns orange. Once at least two attributes are correct, a green line indicates the ideal combination. Notice in establishing the positions of the players. Position the player to his designated position, the colored tip of the corresponding map green. That is also important for the Chemistry vote in FIFA 17. You should avoid placing a striker in midfield - then the connecting lines turn orange or even red. The managers provide for high team chemistry also an important component. If you train players mostly from Bundesliga, then it is advisable to engage a German coach. The reward: an additional bonus to the chemistry values. The appropriate card will receive you in sets or on the transfer market. The players get the chemical effects at the start of a match. The effects are due to a combination of the team chemistry and individual player Chemistry. - Players in the starting XI will receive 25 % of the team chemistry and 75 % of the individual player Chemistry. - Denote players will receive 25% of the team chemistry and 75% from the solid chemistry Player Value. Substitute a player during a game, player will benefit from a team with high chemistry. The chemistry effects are calculated in terms of the player attributes as follows: (Team Chemistry x 0.25) + ((Player chemistry x 10) x 0.75). If the result is greater than 50, increase the player attributes to a value of not more than 99. If the result from 50 to a neutral effect, then remain at his base attributes. If the value is less than 50, the player attributes deteriorate to the minimum value of 1. In a large chart, Electronic Arts shows the attribute values that a player receives with 100/10 Chemistry and Chemistry depending on style. By Sniper style rise about the shot values: Positioning +10, +15 conclusion, volleys +10, +15 penalty. Note: It will not improve all attributes. The values for Long Shots and Power Shots remain about the same. The distribution made during a game of team management has no effect on the chemistry. React in the game about a lineup change on the opponent's playing style, you need not fear any changes in the chemistry values. However, physical attributes are affected during a game of the endurance of a player. The following attributes are considered: acres, agility, jump strength, reactions and Marking. Those who have already played the Ultimate Team mode in the predecessors can look forward to rewards in the form of gold coins and sets. What type of reward you will receive depends on how intense you have played in the past. For a limited time you will also receive a daily gift in the web app for Ultimate Team. After you have opened the first set and get players, you should assign that initially your club. Then gives you an overview of the player, you have just received. After that you tinker the first line-up together. Sure, the players received at the start are probably not superstars. However, they are sufficient to establish a full team, including substitutes. Before you begin with the senior management succession planning, you decide the formation, you want to play with. Tips: Subsequent change of formation is possible in principle. However, this may affect the chemistry within the team. To start we recommend the classic 4-4-2. Then place the player to the correct positions - pay attention to the chemistry values and player strengths. Presumably it is the beginning of your career in FUT FIFA 17 and you can not fill every position perfectly. Each player will receive you later in the game - either by the opening of card sets or by contract on the transfer market. For this you need a considerable number of coins. Participate in the first tournament and win it – first, best in offline mode. The acquired coins you invest in the expansion of your team. It should be followed by good footballers out initially. Tips: For the beginning we recommend to put together a team with good chemistry. Therefore, buy players from a league, a club or a nationality. Earn coins and invest them again in your team. So your team improved continuously. To buy a player or card to in FIFA 17 Ultimate Team, you need coins. The currency granted from participating in tournaments, seasons, FUT Draft or online matches. In single player mode, as a rule, the higher the difficulty, the more coins you gain. At the beginning take part in the individual offline tournaments and single player Seasons. So you train not only your skills, but also gain a considerable number of coins. It is advisable to create more teams to participate in as many tournaments as you can. The temptation to open a Gold Pack in FIFA 17 is huge. With luck, the deck includes a particularly valuable player. But the probability remains low even with FIFA 17. Therefore, you should definitely search players in the transfer market and compare the individual prices that are demanded for the footballer. With any luck, you'll get on the transfer market a bargain or two. Therefore, observe only the price history of a player before you confirm the purchase. 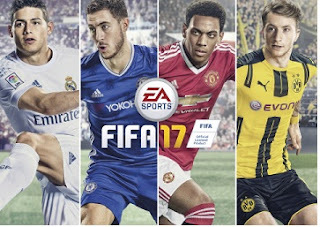 Most of the money will save you in the morning when few players are online in FIFA 17. It is also advisable to keep the team of the week in the eyes. From this time many FIFA players access to Gold-pack, in the hope to get one of the star players. The remaining, unused players remain in the transfer market. This is your opportunity, perhaps to grab a bargain!